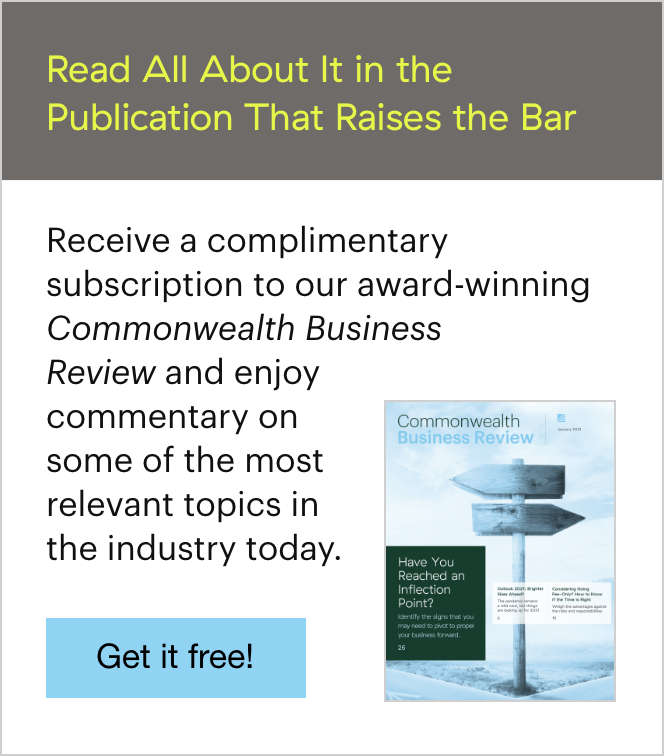 Back in 2011 and 2012, as we were picking up the pieces after the market crash, some of my colleagues at Commonwealth and I were busy writing articles and e-mails and talking with our advisors about how to keep behavioral biases from getting in the way of their clients' financial decision making. Recently, as volatility has come back to the markets—in mid-October, the Dow and S&P plummeted nearly 5 percent before recovering and finishing the month even stronger—those biases may be resurfacing, causing some investors to react fearfully and irrationally when it comes to their investments. 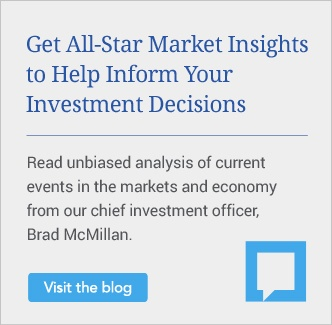 On The Independent Market Observer, Commonwealth's chief investment officer, Brad McMillan, blogs frequently on the status of the economic recovery and where he thinks the market may be heading, so I won't get into that here. Instead, I'll share information on some of the more common behavioral biases investors face and give you tips for getting your clients back on an even keel. Caveat: Before we get started, it's important to acknowledge that behavioral finance is not a magic potion. Investors are human and don't change their behaviors and biases overnight. But advisors who understand the role that emotions and biases often play in financial matters can develop a more productive relationship with their clients. Identifying your clients' tendencies—and deciding whether to adapt to them or attempt to adjust them—is key to providing appropriate solutions and helping them meet their goals. The situation. It's Tuesday morning, and one of your clients calls in complete panic mode. You turn on the TV and see that the market is down 300 points. In typical fashion, CNBC flashes a blinking orange bar across the bottom of the screen: BREAKING NEWS: MARKET DOWN! You've become accustomed to these volatile trading days, but your clients haven't. An hour later, just as you're about to hang up with the first caller, your assistant tells you that three more clients are on the line, each sounding frantic and fearful. It's going to be a long day of hand-holding and deep breathing . . . but how much of this could have been avoided? The behavior. In this case, several biases are at play, most notably loss aversion. Loss aversion suggests that in general loss is twice as painful as gain is pleasurable. While a client may truly be an aggressive investor, when the market roller coaster hits, his or her stomach drops and this loss aversion kicks in. The solution. It's tough to change the ways of an emotional client. Instead, the best approach is to understand and adapt to the client's behavior before a crisis erupts. Commonwealth has developed the Client Discovery Worksheet, a risk tolerance questionnaire designed to help you gather information about your client’s tendencies and prepare you for times when your client's emotions push him or her to the verge of making poor financial decisions. You might also consider helping all clients stay educated by sending a regular, high-level market update, which explains the facts behind market fluctuations and, more importantly, shows clients that you are on top of this for them. This update will reinforce that they are better off living their lives and don’t need to react to every surprise that comes along. If All Your Friends Jumped Off the Brooklyn Bridge, Would You? The behavior. This scenario illustrates what is known as herd behavior—the tendency of people to mimic the actions (rational or irrational) of a larger group, even if they'd be unlikely to take the same actions on their own. While every investor's ultimate goal is to buy low and sell high, the herd mentality can often lead clients to do the opposite. Sound familiar? The solution. Social pressure can be an incredibly powerful force. When the will of the crowd threatens to derail a client's financial plan, an investment policy statement (IPS) can help keep things on track. An IPS maps out a prudent, disciplined decision-making process designed to keep clients focused on the big picture. Although it should be flexible enough to accommodate new opportunities, an IPS can help prevent clients from overestimating their risk tolerance and help them understand the risk-reward trade-off of each investment. Further, in our Client Discovery Guide, one of the most powerful questions asks whether the client has jumped in or out of an investment and later wished that he or she had stuck to the core investment strategy. By asking this when the markets are calm, you’ll arm yourself with something you can hand back to the client and be able to invite him or her to consider if this so-called great investment opportunity is a similar mistake. The situation. It's a Sunday evening, and you decide to get a head start on the week ahead. You have several clients coming in, all of them looking for new investment opportunities. Determined to find the best options for each client, you begin by browsing websites, newsletters, and sponsor materials. The next day, you talk to a few colleagues and check in with wholesalers. The search continues until you've asked everyone but the mailman. Suddenly, you find yourself overwhelmed, almost paralyzed, by the number of choices. The behavior. Having more choices should feel liberating. When presented with too many options, however, many people find themselves unable to make a decision. This is commonly known as the paradox of choice. Ironically, evaluating all options can lead you to feel dissatisfied with whatever decision you eventually make. This type of scenario can prove especially dangerous for advisors, as your role is to help clients make decisions. Confirmation bias comes into play when an advisor relies on information that confirms his or her preconceived notions, regardless of whether that information is true. For example, if the above scenario leads you to believe that gold is the place to invest your clients' money, you will most likely focus on information and data that supports that strategy. Availability bias, on the other hand, is when an advisor relies solely on the limited information available to him or her—for example, buying a mutual fund solely on the recommendation of a colleague. The solution. Today, investors are only a click away from a wealth of information and choices. Although convenient, this can easily become overwhelming and lead to irrational decisions. If your broker/dealer offers research support, take advantage of that expertise to guide you to the most appropriate choices. At Commonwealth, our dedicated Research team offers institutional-quality and independent analysis to our affiliated advisors on a variety of investment products and subjects. These are just a few of the countless scenarios in which an understanding of behavioral finance can help you devise a better solution for your clients. Overconfident investors might be better off outsourcing portfolio management to reduce mistakes and trading costs. Performance chasers might need to revise their investment approach to be more disciplined. Clients who constantly experience buyer's regret may need help refocusing their energies on what lies ahead. To learn more about behavioral finance, I suggest reading Your Money and Your Brain by Jason Zweig. 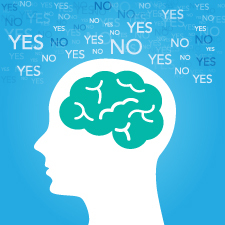 Have you encountered any of these behavioral biases when working with clients? Share your story below.